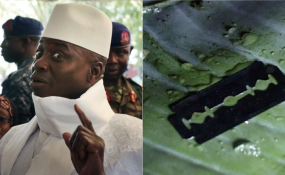 Gambia's former dictator Yahya Jammeh banned FGM in the country. Stakeholders in the fight against FGM/C led by 'Wassukafo' Gambia on Tuesday converged at a local hotel to commemorate the third international forum against the practice. The objective of the convergence according to the organisers, is to share best practices and strategies that has given people confidence and belief that change is possible in communities where FGM is highly practiced. Speaking at the gathering, Professor Adriana Kaplan, founder of 'Wassukafo' Gambia, underscored the significance of the forum while highlighting the challenges and successes registered by the organisation. According to her, the EU funded project for the third international forum against FGM is sequel to the first one held in Brufut in 2009 and 2018 respectively. "We know that prevalence still remains highly global and a decline is much lower than expected, despite tremendous efforts being made," She said; that the Amendment of the Women's Act in 2015, is a major conqueror to the practice and that the framework of the Law, protects girls and mothers amongst others. "But we must be aware that applying the Law is difficult as shown in most countries where the practice has been banned for decades, because of a cultural and social environment where FGM/C is a rooted tradition, with mixed religious misconceptions," Professor Kaplan said. Ousman Sillah, National Assembly Member for Banjul North who deputised for the Speaker of the National Assembly Mariana Jack Denton, dilated on the commitment of deputies to support the Law against FGM/C. According to Sillah, FGM has now been a global concern due to the inter-continental migration with their cultural believes and practices. He recalled several engagements he made with the Diaporans in Spain and other places where migrants practice FGM/C. "The Gambia has been one of the countries that banned the practice of FGM. It is my hope that the participation of the consultants, Law Makers and other stakeholders, will enrich the efforts made against FGM/C," he said. Dr. Isatou Touray, the Minister for Health and Social Welfare, reflected challenges encountered in the campaign to end FGM/C during the previous regime; that GAMCOTRAP made history in the country by celebrating the public declaration to end the practice. This she said serves as a gateway for the beginning of changes in minds and hearts particularly on a very deeply rooted traditional practice that is shrouded in secrecy. "Today, we have come together on the third international forum to share the best practices and strategies that has given people the confidence that change is possible in our communities," Dr Touray said. "I am aware of the health complications of the practice on sexual and reproductive health, as well as on the rights of women and girls which includes severe bleeding and infection," she explained. Dr. Touray said a study by the WHO in 2006, has shown that women who have had FGM, are significantly more likely to experience difficulties during childbirth, and their babies are more likely to die as a result of the practice.